How can I define italic-type for the font? Browse other questions tagged xetex fontspec polyglossia hebrew or ask your own question. 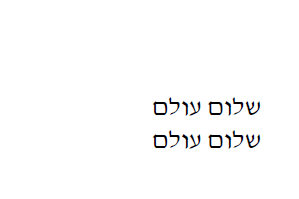 Is it Impossible to Write Hebrew Documents with hyperref?